Matlock Town development manager Justin Tellus was filled with pride by the side’s Holland Cup exploits and praised the talent within the system. With three age groups travelling to Dutch capital Amsterdam over the weekend and securing two runners-up trophies and a top four finish in Almere, Tellus had nothing but admiration for the youngsters. The U16s and U19s achieved a second place finish in their age categories, having lost their finals on penalties, and the U17s finished semi-finalists in what proved to be a hugely successful two days. “We are so proud of the lads,” Tellus said. “They have come on foreign soil and shown no fear to play the brand of football associated with our club and development sector. “We have won our last two international tournament finals on penalties in 2016 as well as 2017 and football has a funny way of levelling things out. 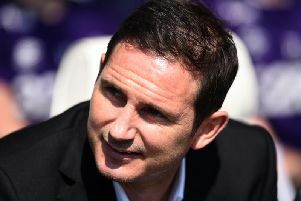 “However, to lose two in the same day after the sides were both unbeaten in the tournament is a hard one to take for the young squad,” he explained. The development manager also rated the level of experience that the tournament gave the development players, which gives them good grounding to progress towards challenging for a first team spot. “We had a hugely successful tournament in regards development and we got to see how players cope with the pressures of the game away from home,” he said. Prolific striker Billy Whitehead also had extra cause to celebrate in the Netherlands as he surpassed the all-time record for number of goals amassed in a single development season. Entering the tournament with 39 goals to his name, Whitehead bagged a further seven in Almere to take his tally to 46 goals this term. “Special congratulations must go to 18-year-old Billy Whitehead for breaking the club goal scoring record in the Netherlands,” Tellus said before going on to thank those involved in the tournament.